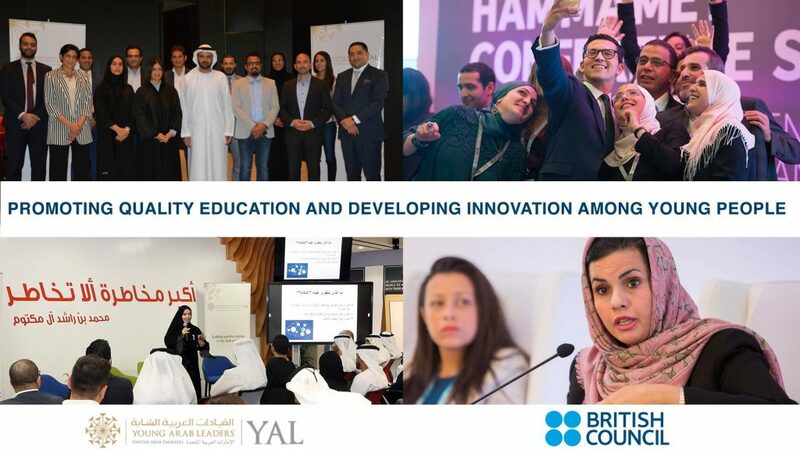 Dubai, UAE – 30 September 2018: Young Arab Leaders (YAL) and British Council UAE today announced a new knowledge one-year partnership. YAL Executive Director, Ms. Nabra Al Busaidi, and British Council Head of Programmes & Partnerships in UAE, Gemma Barlow, signed the agreement in Dubai, UAE. The knowledge partnership serves a commitment between an Academic Partner and YAL to promote, support & co-organize business educational events in the UAE. It will provide access to information, connections & knowledge supplied by partners. Under the agreement, YAL will join British Council on a number of organizational, business and entrepreneurship initiatives. The partnership includes knowledge & connections sharing, mentorship, speaking opportunities, business community outreach events and visibility. It also gives both organizations’ members exclusive invitations & complimentary access to selected events that benefit entrepreneurs and business leaders in the region. British Council is now the most recent partner of YAL’s network that includes 29 prominent entities which have entered into, strategic, ecosystem, knowledge, community or media partnerships with YAL. As of today, YAL has signed five knowledge partnerships with key academic stakeholders in the region including British Council UAE, Harvard Business Review Arabia, London Business School, Harvard Club of the UAE & HKS Alumnni Network of the UAE. Founded in 2004, Young Arab Leaders (YAL) is an independent, nonprofit youth organization based in Dubai, UAE. YAL focuses on empowering the next generation of leaders in the Arab world by developing & bringing together a strong network of business leaders and launching collaborative & educational initiatives to ensure young Arab entrepreneurs get the support, guidance and opportunities they need to succeed. The British Council is the United Kingdom’s international organisation for cultural relations and educational opportunities: the business of building trust and understanding between nations. The British Council’s office in the United Arab Emirates is one of over 100 worldwide. It was established 46 years ago and is one of our most important operations today. It works in three key areas: arts, English and education, with a focus on young people.